It's Motorcycle Season! Are You Properly Covered? Home > Blog > It's Motorcycle Season! Are You Properly Covered? As some of you already know, Ken May Insurance Services has been a excellent provider of the best motorcycle insurance for many years. And as motorcycles have changed over the years, so has the appetites of many motorcycle insurance companies. Many, many years ago, I remember when Harley Davidson motorcycles and other “hogs” were a strict no-no for most motorcycle insurance carriers. They reasoned that if you rode a “hog”, you were stereotyped as someone like members of the Hells Angels. But then the sport type bikes came onto the market. These foreign made speed machines with names like Ninja and GSX-R with their abilities to go fast in an instant and dart through traffic became the go-to type of bike for those adrenalin junkies looking for thrills. Suddenly, the big old hog type bikes and their riders seemed tame in comparison. And a funny thing happened; as the young newbie riders were buying up the speed machines, insurance companies realized that many of the “hog” owners were professionals who rode mostly in groups on Sunday mornings. And even the old time, seasoned riders who looked like outlaws were really down to earth people who just wanted to enjoy a leisurely ride on the open road. You guessed it; the premiums for those young riders who owned “crotch-rockets” were high while the premiums for the Harley type bikes came way down. It’s funny how perception becomes reality. Did you know that Ken May Insurance Services writes insurance through the top motorcycle companies in the market? And did you know that we have a motorcycle specialist on staff? Steven Yen owns four motorcycles and rides often. He lights up when a fellow rider wants to talk motorcycles with him. 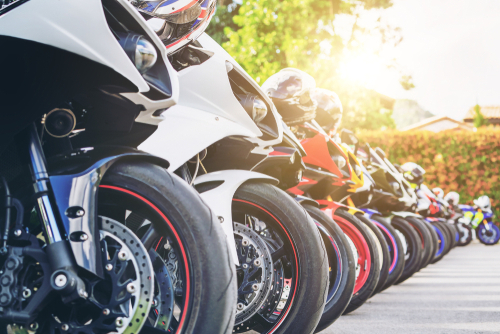 Even though our whole staff can help you obtain proper coverage for your motorcycle, most risks are deflected to Steven because of his experience, expertise, and passion for the sport. Over the years, we’ve written everything from small scooters to special construction bikes. We research all of our carriers to find the right fit for you blending the proper coverage with value and the right company. Some of you are saying “Isn’t it always motorcycle season in southern California”? Yeah, I guess so but the start of spring really elevates the desire to clean up the bike (or buy a new bike) and hit the open road. 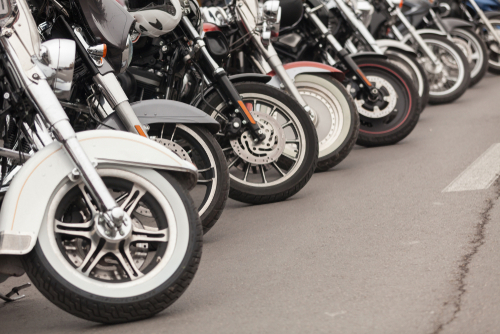 Give us a call for all of your motorcycle insurance needs.